With each new school year comes a new class of students. Students that you may not know personally and have only heard about from colleagues. You might spend the summer anxious about how you are going to address the vast levels of reading proficiency of your incoming students. This was the case for BeLinda Martin. Of the incoming class of fifth graders, only about half were reaching or exceeding levels of reading proficiency. BeLinda had to think differently than she had in her over 20 years of experience to address this gap in reading abilities. The first step in this journey was to give up. You’ll also hear how her classroom became a haven for struggling readers, a place where learning happened and teaching became organic through small groups and conversations. Plus, her students had the top scores in Region 14 in Texas for performance on the STARR reading test. BeLinda’s story of classroom transformation is incredible, but what’s more incredible is how easy it is to replicate. After tuning in to this edWebinar, you will want to give up in your own classrooms and gain amazing growth for your own struggling readers. Elementary level general and SPED teachers, reading specialists, speech language pathologists, librarians, principals, SPED directors, directors of assistive technology, and directors of curriculum will benefit from this live, interactive event. There will be time to get your questions answered after the presentation. BeLinda Martin is excited to be entering her 20th year in education. When she graduated from Hardin-Simmons University with a Bachelor of Science and early childhood endorsement she never imagined the adventure teaching would take her on. 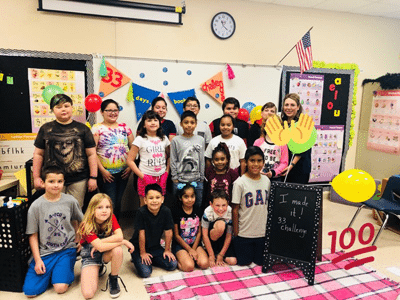 BeLinda has had the opportunity to teach a fifth grade self-contained class, fifth grade reading, language arts, and social studies, fifth/sixth grade reading, sixth grade science, and seventh grade reading. Throughout her years of teaching, she has discovered that believing in oneself is half the battle. Therefore she always tells her students that she will never give them anything they can’t accomplish, it just might not always be easy. BeLinda teaches them to believe in themselves and persevere. She understands that education is always changing and as educators you must be willing to change also. A classroom is a partnership with the students. If you provide a positive atmosphere where success can be achieved, your students will be successful.